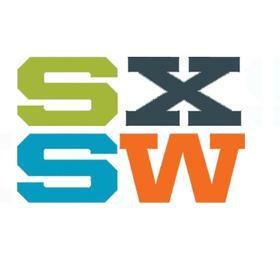 A fourth victim has died due to the horrific car crash at South By Southwest 2014 in Austin, TX. DeAndre Tatum, known by friends and family as Dre, was an 18-year-old graduate from Ft. Worth’s Trimble Tech High School. Tatum had been hospitalized at University Medical Center Brackenridge in the Intensive Care Unit ever since the March 13th accident. Tatum was attending SXSW with his girlfriend, 18-year-old Curtisha “Tish” Davis when Rasheed Owens drove his car down the crowded Red River St. in downtown Austin for multiple blocks, injuring 21 additional people. Tatum’s girlfriend also suffered several broken bones and was hospitalized as a result of the crash, and was released from the hospital last week. Two victims of the crash, Steven Craenmehr, 35, an Amsterdam-based employee of MassiveMusic, and Jamie Ranae West, 27, of Austin, were pronounced dead on the scene. A third victim, 26-year-old Sandy Le from Austin died at University Medical Center Brackenridge on March 17th. Many of the victims were waiting in line for a Tyler, The Creator show at the House of Vans showcase at the Mohawk venue. Rashad Charjuan Owens, an aspiring rapper that uses the pseudonyms KillingAllBeatz or K.A.B254 that was on the way to a a 1 AM performance at Club 1808 near 12th and Chicon Streets when police attempted to pull him over in a 2012 Honda Civic for suspected drunk driving. Owens began to flee, barreling through a barricade and down the busy street filled with SXSW attendees. Owens blood alcohol level was .114. The legal limit in Texas is .08. Owens is being held at the Travis County Jail held on a $3 million bond on capital murder charges. In Texas, whenever two murders happen in the same incident, it is automatically charged as capital murder.The arrest warrant says that dash video from police “shows the Honda accelerating into crowds, not simply crowded areas but crowds of people who are hit by the car and flung into the air for almost three city blocks, accelerating into crowds and does not use his brakes, as in the video there are no brake lights visible from the rear of the Honda.”Rashad Owens has still only been charged with the two original counts of capital murder. A Grand Jury has yet to decide if additional charges are warranted for the two additional deceased victims. He also faces aggravated assault with a motor vehicle charges. Hope they put this fucker down. I don’t care how drunk he was. He need to die.